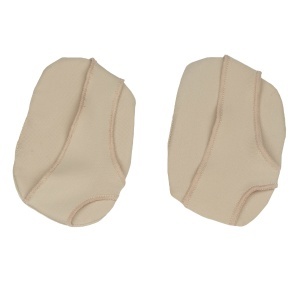 Found these to be very helpful in relief of pain and increased comfort. Can slip around the foot if care is not taken to place carefully and adjust when putting on tights, socks etc. I bought these to wear with sandals as my feet blister very easily. I love to walk and don’t like wearing socks with sandals. These are almost invisible to wear and offer me comfort. They are also easy to wash.